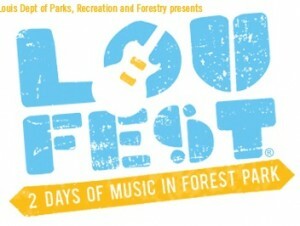 Magnolia Summer will be one of several bands performing during the 1st annual “LouFest, August 28 and 29, 2010 at Forest Park in St. Louis, Missouri. (From The Riverfront Times): Indie-pop duo She & Him, Canadian rock collective Broken Social Scene, Wilco front man Jeff Tweedy, veteran fuzz-rockers Built to Spill, indie upstarts Airborne Toxic Event and grizzled Texas rocker Alejandro Escovedo are topping the LouFest lineup. Others scheduled to perform include twang-punks Lucero, old-time string-band Carolina Chocolate Drops, grizzled roots-rocker Cory Chisel and the Wandering Sons and Springsteen-goes-shoegaze act Titus Andronicus, along with a spate of local acts. (Full lineup and times are below.) As we reported earlier, the event is taking place on August 28 and 29 in Forest Park. Tickets are are on sale today and are $38 each day, $64 for the entire weekend. Next post: 2010 Digital EPS – listen now!